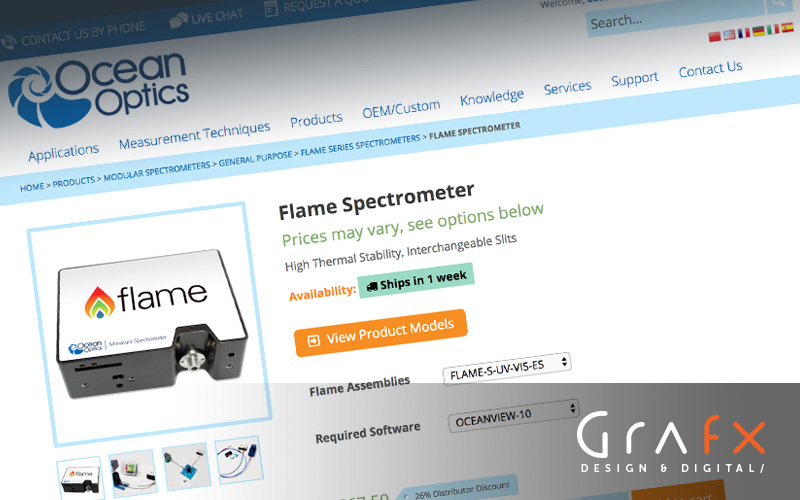 In late 2014, Grafx Design and Digital completely re-branded and re-launched oceanoptics.com from the ground up. 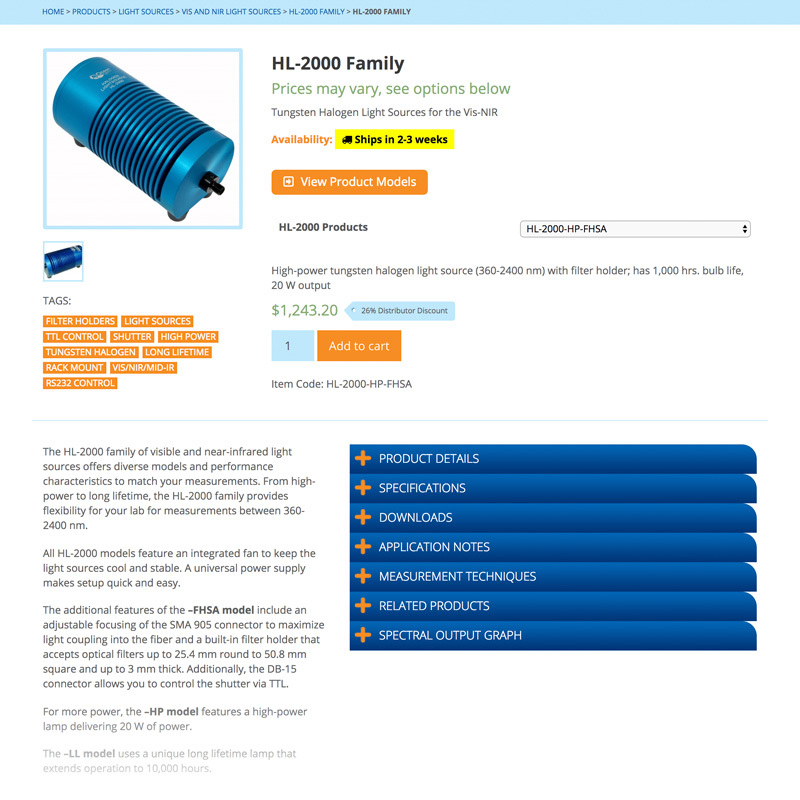 This site was very rich in content and Grafx delivered an improved user experience and developed custom sales tools to provide Ocean Optics’ customers with the knowledge they require to make the intended purchase for their needs. As useful as the site was, there was still one major addition in the wings, an e-commerce upgrade. 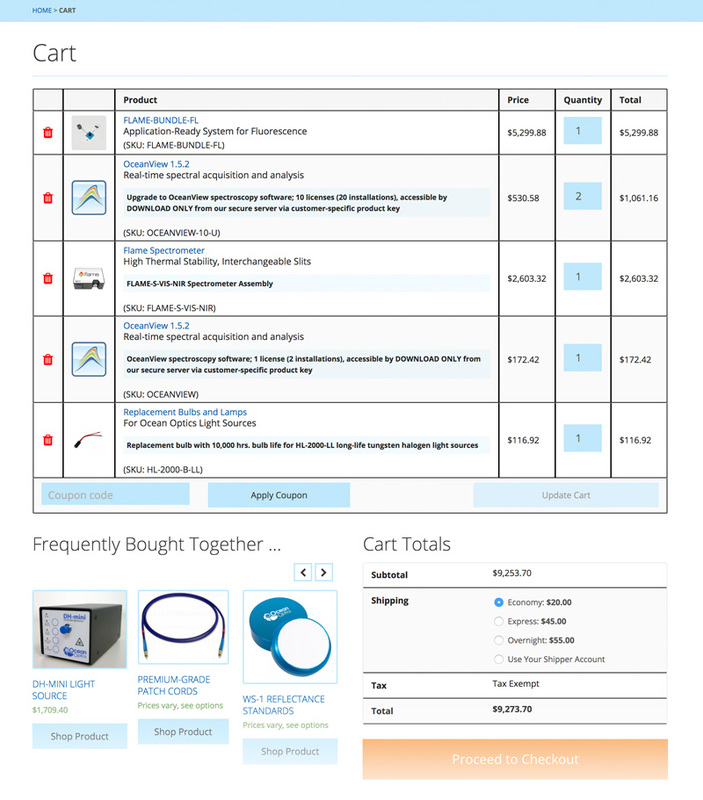 Once the company was ready to move forward with the e-commerce addition, we found ourselves with a unique challenge of taking a complex technical item – that in person requires a difficult consultative sale dialog – and bringing it to an online sales platform. Grafx prides itself on truly understanding the products of our clients. After gaining a solid understanding of both the product and the client’s sales process, Grafx delivered a fitting strategy. This strategy utilized a series of checkpoints along the purchase path to ensure Ocean Optics’ customers selected the most appropriate product for their needs. 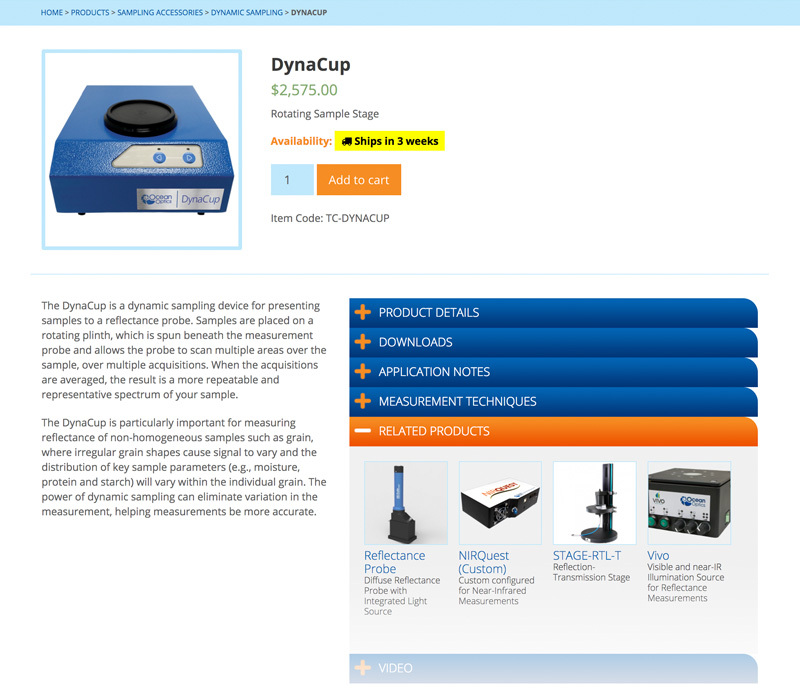 Multiple custom product templates based on the type of product being sold and its variation requirements. Inventory status database and front-end icon-based notifications. Complex tax calculations based on international sales needs plus a tax exempt form upload feature and database. Geo-location based pricing based off of multiple pricing lists and overwrite-rules when necessary. Account-based automated discount database and front-end integration. Several custom account creation and checkout customizations including marketing fields, tax status and calculations, multiple shipping address, and custom shipping method options. Grafx Design and Digital is proud to work with such a great client like Ocean Optics. Stay tuned for more innovative collaborations in the future. In the mean time, we encourage you check out the branded-page we put together for them. It is loaded with some of our favorite Ocean Optics projects that just might kick-start some ideas for your brand or company.